Packaged in an 8-panel Digipak with black CD trays. 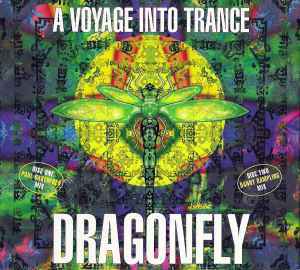 Originally released on Dragonfly Records as Paul Oakenfold - A Voyage Into Trance and Danny Rampling - A Voyage Into Trance. Like all other versions, track 1-03 is listed as 'Total Eclipse - Aliens’ and track 1-10 is titled 'Slinky Wizard'. Credits for 1-03 were accordingly printed wrong. Mix titles for tracks 1-07 and 2-12 are not listed, the liner notes do mention their respective remix producers though.